PANIC! 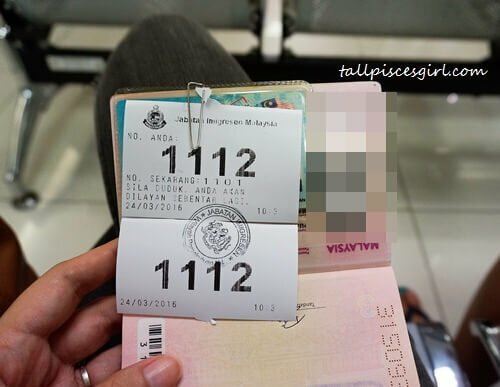 Didn’t realize that our Malaysian passport has already expired until few days before Medan/Lake Toba trip. 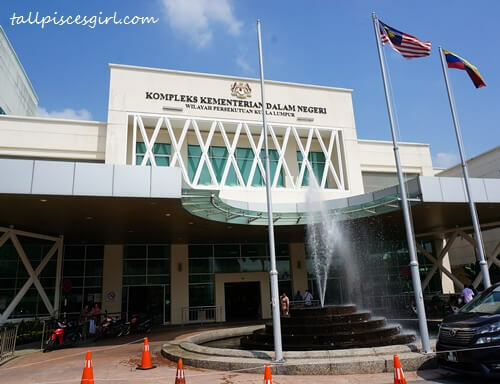 Since our house is near Kementerian Dalam Negeri (KDN), we decided to go to Jabatan Imigresen Malaysia (JIM) that is just inside the building to renew our passports. This is also one of the most efficient JPN/JIM branch in Kuala Lumpur because it’s the headquarter. 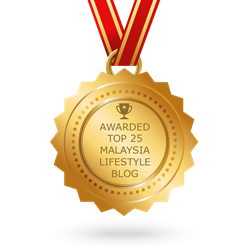 It’s located just opposite Publika. Tough stains, I demand you to Vanish! I think nobody would believe that I actually do my own laundry so I’m gonna have to admit this: Normally I’ll only do my laundry when the clothes need special care or attention. For example, expensive dresses, bras or stained clothes. 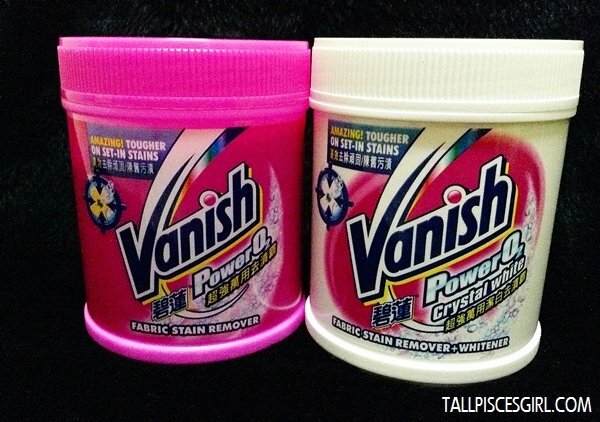 Since I was given some Vanish products to try, I searched around my wardrobe for stained attires to do some experiment and see if it really works. 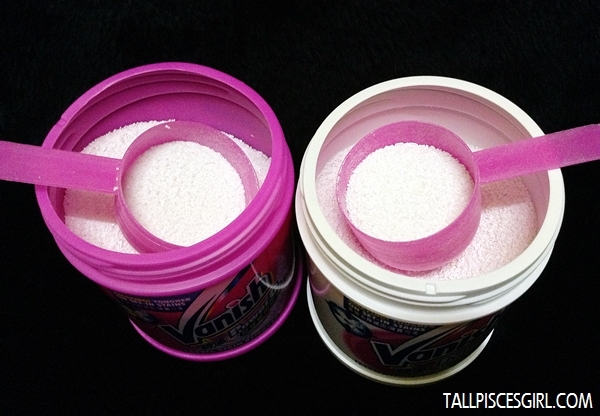 Vanish Power O2 Powder & Vanish Power O2 Crystal White! 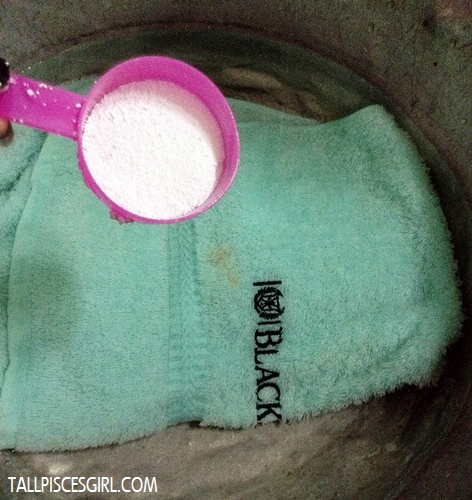 Vanish Power O2 Powder targets tough stains on both colored and white clothing so I used a towel of mine that has BB Cream stain on it. 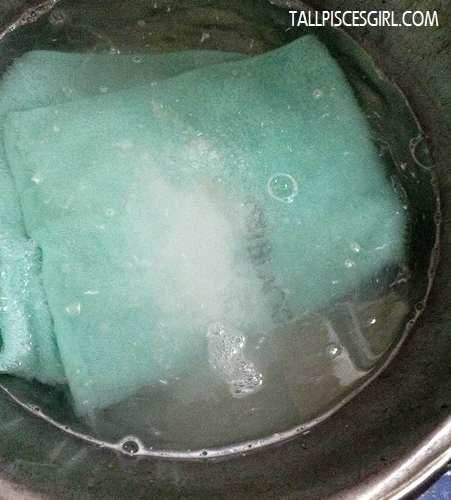 Put the towel into a container and add 4L of water. 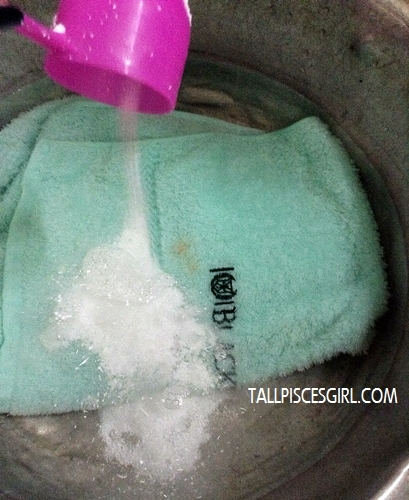 Add a scoop of Vanish Power O2 Powder. Give some time for the magical Oxi Powerlift to work. 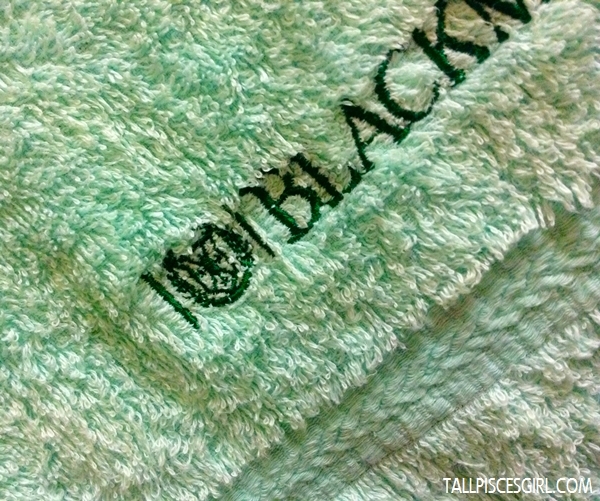 For colored clothing, soak no more than 1 hour while for white clothing, soak for a maximum of 6 hours. 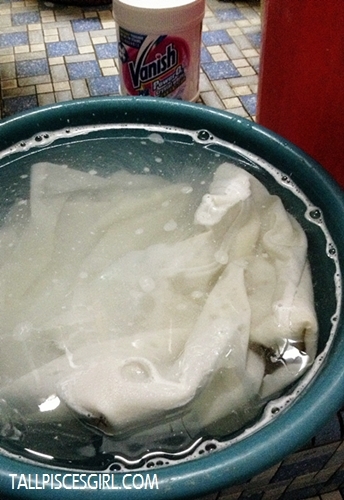 Before rinsing, rub off the stain that has floated up from the clothing. 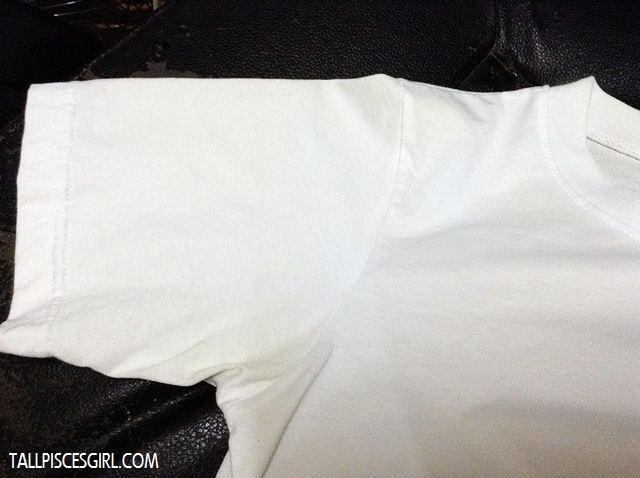 Vanish Power O2 Crystal White only targets tough stains on white clothing so I used a couple T-shirt that I had loooong time ago. Yellow/light brown dots will develop if I didn’t wear it for a while and I don’t understand why this only happens to white clothing! Anyway, I heard that Vanish can remove these yellow spots so let’s try. 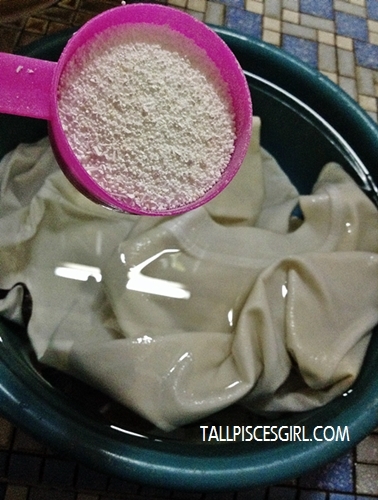 Put the shirt into a container and add 4L of water. Add a scoop of Vanish Power O2 Crystal White. Give some time for the magical Oxi Powerlift agents to work. Soak for a maximum of 12 hours. Seriously, I was a bit worried that it might not work cos the stains have been there for quite long. 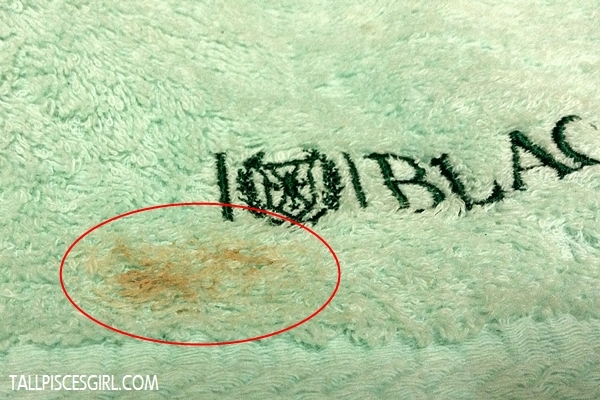 I was really amused to see that the stains came out immediately after I rubbed it with my hand! 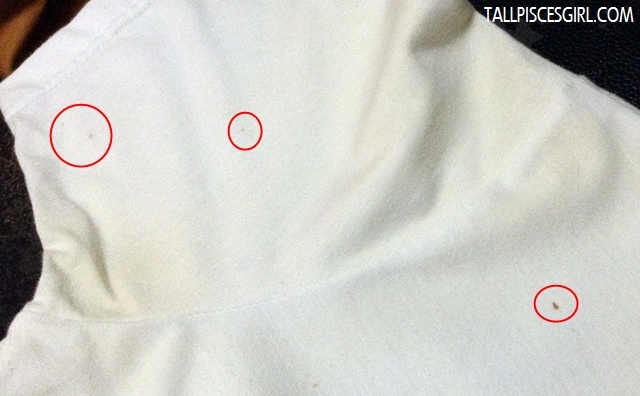 Spots on white shirt also gone! If you’d like to try it yourself, get a free Vanish sample at https://bit.ly/1aIkd2I and it’ll be delivered to your doorstep! 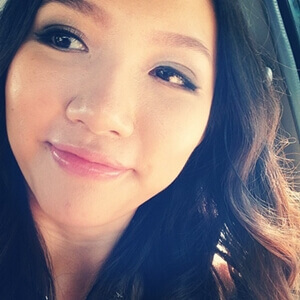 Please wish me luck in winning something big too! Hehe! Example: Voodoo Chicken Salad takes 12 hours to cook. Therefore, it takes 14 hours 15 minutes for Voodoo Chicken Salad to spoil!